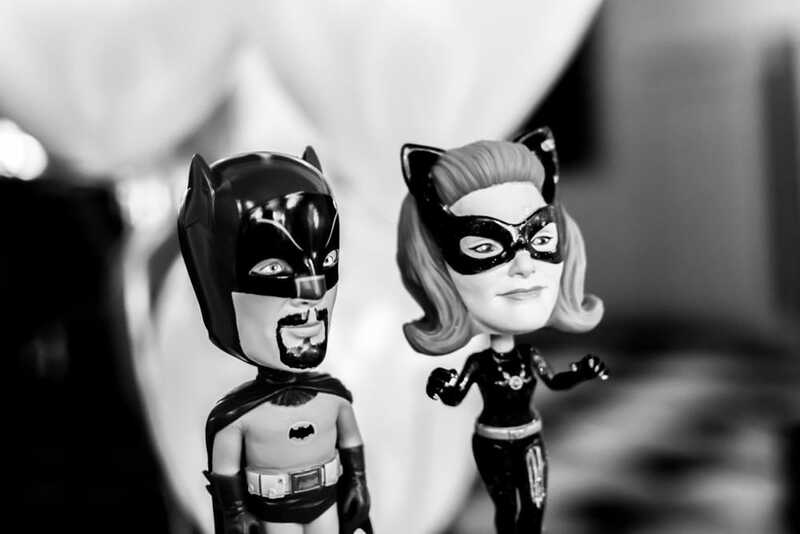 When Batman (Mark) and Catwoman (Paulette) decided to tie-the-knot here at Shottle Hall it was always going to be a "Super" day! So let me hand you over to the new Mr and Mrs Cox to describe their special day. We met through a mutual friend who thought we'd be perfect as we have the same sense of humour! So we arranged to meet, that night it decided to snow (5-6 inches of snow and Mark wore trainer socks!!) but it was the best night and neither of could have imagined what the future would hold. We booked to go on holiday to Cape Verde for Marks 40th birthday, little did I know that Mark had already been plotting with my sister-in-law for months. On Marks birthday, I had already ordered a surprise birthday cake (our poor holiday rep was torn between us both as she knew what each of us was about to do), we booked to go to the restaurant and the table had been decorated beautifully. After we had eaten, the hotel staff came out with his birthday cake and sang "Happy Birthday" to which Mark then dropped to one knee and asked me to marry him. For us, Shottle Hall is so picturesque. You have beautiful views, grounds and wonderful staff. But what really made us pick Shottle Hall was that it was intimate and that our family could all be together under one roof and celebrate with us. My dress was a strapless satin ball gown, with diamante details. The Groomsmen wore oxford grey suits with cream waistcoats and Wedgwood blue cravats. The Pageboys wore oxford grey trousers, white shirt, Wedgwood blue waistcoat and cravat. The Junior Bridesmaids wore Wedgwood blue dresses with sparkles along the top of their dresses with silver sparkle shoes. Our Flower Girl wore a simple cream dress which had flower corsages across her shoulder and onto her dress. Our ceremony was intimate, just family and close friends. Mark and I aren't really ones for automated poses ("stand here", "do this" etc etc). 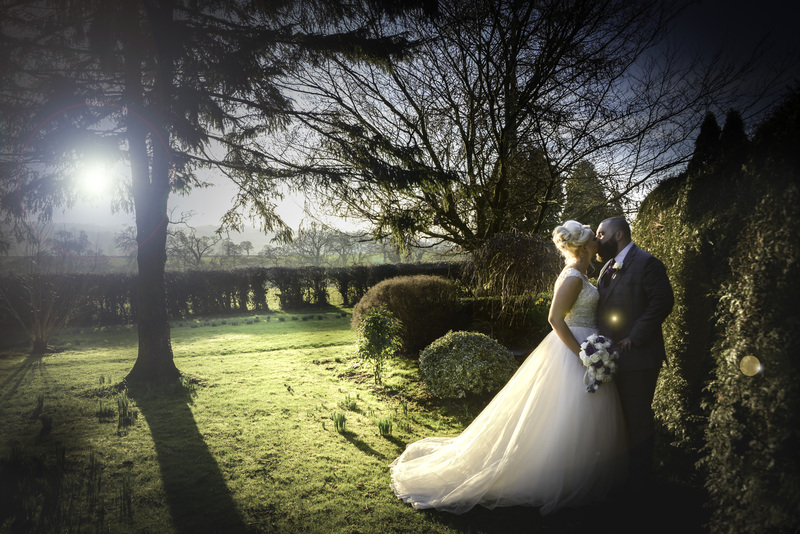 We have always preferred to be natural and relaxed, so we had no official photographer but everyone at the wedding took some stunning photos. What we have now are gorgeous memories that our family and friends took which means the world to us. We went for a simple yet romantic look keeping it minimal. We used candles, glass bowls, mirrors, chair sashes (some blue and some cream) and then let the Hall do its magic. 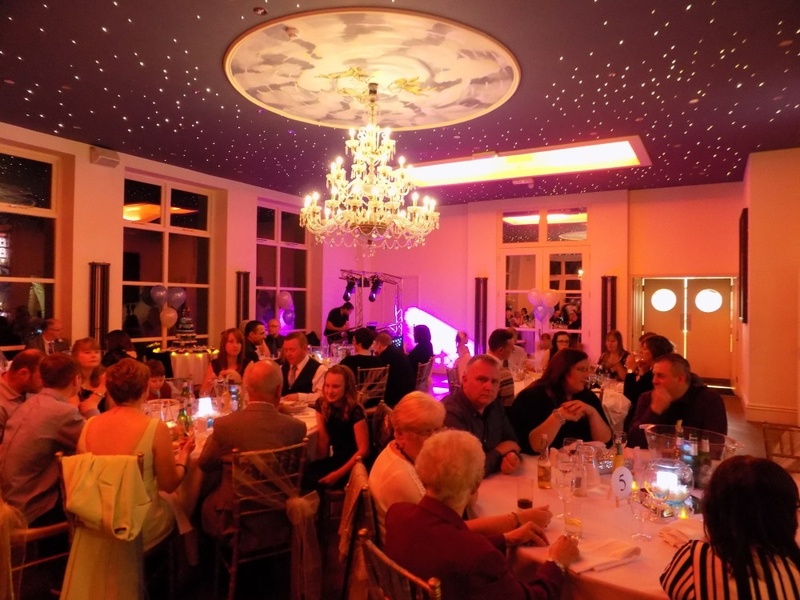 The Hall is beautiful and when you see the star lit ceiling, with its twinkling lights once the sun goes down.....what more could you ask for?! My very talented Sister-In-Law made our wedding cake. Mark loves Batman, so we had 100 cupcakes with batman flags in them and a two tier fruit cake on top. 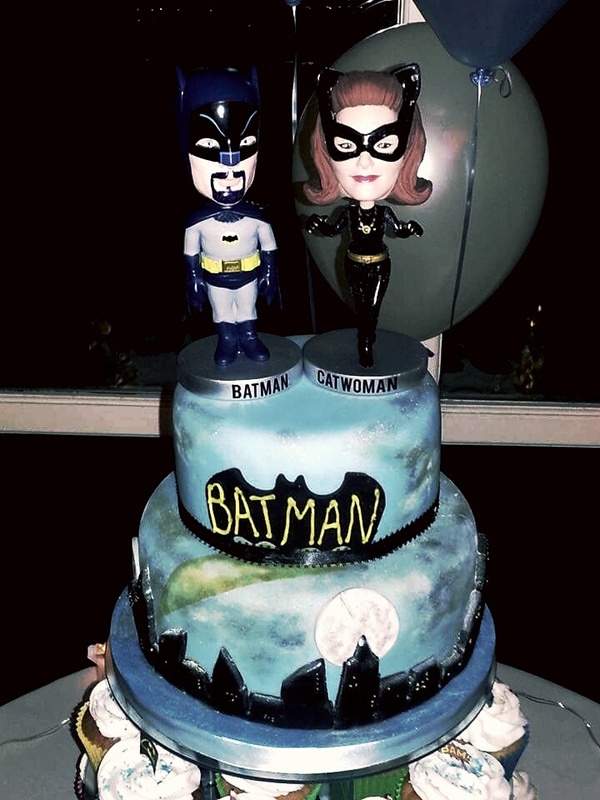 We decided that we didn't want the traditional Mr & Mrs figures on top of the cake..... so we had Batman and Catwoman bobbleheads!!! 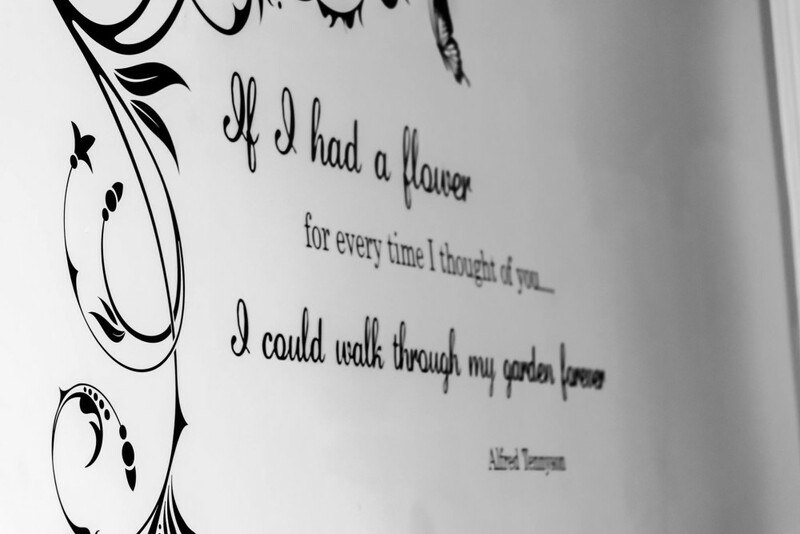 All our flowers were artificial, so that way we could save them in perfect condition to be framed for our memory box. 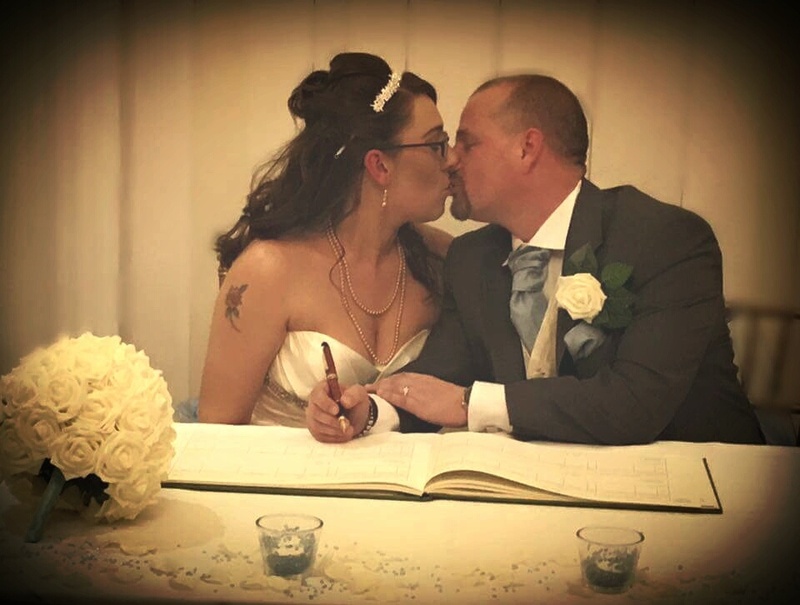 Our theme was family and new beginnings (hence why we married just before New Years Eve) we wanted to start our Year as Husband and Wife. For us we didn't need the world.... we just needed the people that mean the world to us, to be there. We married a little later (4pm) so we had a hog roast (divine, I could eat it again!) with salad and potato wedges. Make time to have 10 mins with each other after your married, it's your special day. Make beautiful memories with the people that mean the most to you and dance like you have no cares in the world.